Clean and restore shine to your hair with the antioxidant benefits of Nature’s Pearl® Muscadine 20™ Coco Mango Moisture-Rich Shampoo. Great for all hair types. 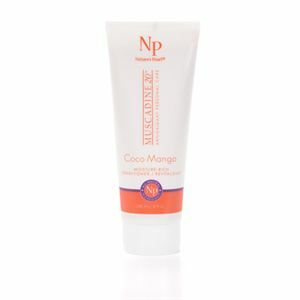 Coco Mango Moisture-Rich Shampoo naturally cleanses your scalp while helping to restore balance and shine to your hair. 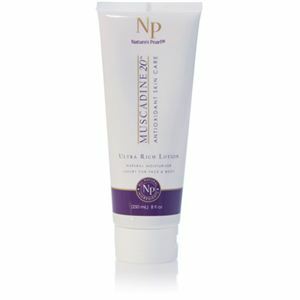 Nature’s Pearl® Muscadine 20 Antioxidant Skin and Personal Care are made from over 100 naturally occurring phenol compounds that provide you with unparalleled proprietary cosmeceutical skin and body products.† They’re made with certified organic and wildcrafted ingredients that are perfect for all skin types. Coco Mango Rich Shampoo is Certified ToxicFree®.